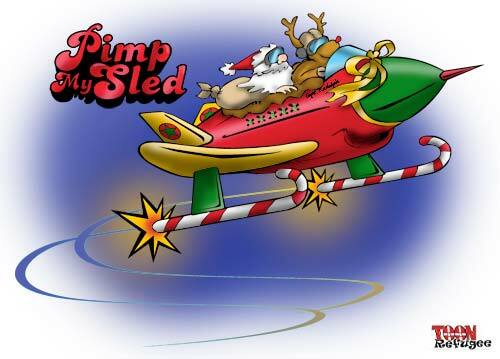 It’s getting close to crunch time for Santa and this new sled should insure that he and Rudolph make this year’s deliveries on time. It’s also crunch time at TOONrefugee. Tomorrow is Christmas Eve and there’s still one cartoon to go in the Twelve Cartoons of Christmas. Be sure to check it out Christmas morning.